But this might make you feel better when your spouse lets rip in the bed and you can't easily get away. Health and long life! does your own fart count too???? That is hilarious.I guess joey's been doing me a favor all these years,huh? See, Destiny, I'm making sure you're healthy when I gas the sheets. It is good to know that you are protecting my health randomly throughout the night. 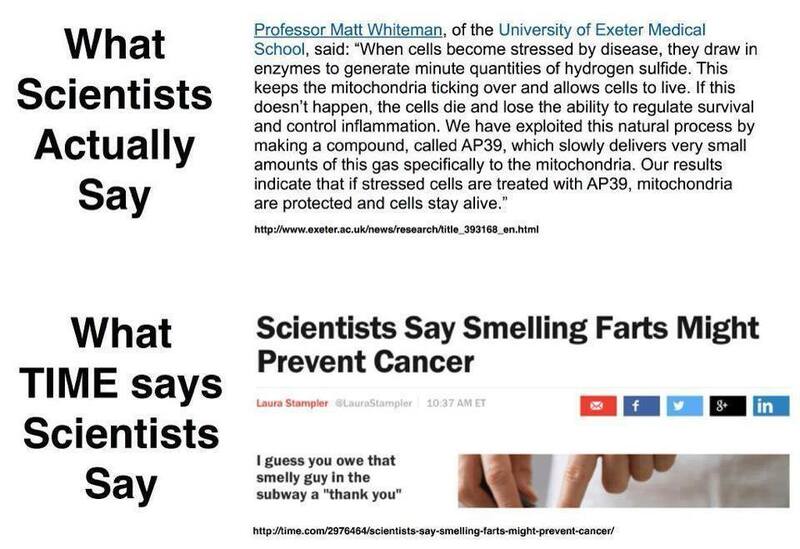 Sandra Dodd On a page where this was shared, but where I couldn't comment, someone had come back all angry with a link to something saying smelling farts canNOT cure cancer. #1, this didn't say "cure," it said "prevent." And it didn't say "will," it said "might." #4 perhaps people who get angry about the idea that smelling farts MIGHT possibly prevent harm is more likely to die sooner (and unhappier) than they would if they could lighten up. Farts smell better than constant crap. Maybe the rise in cancer rates has to do with the DISpopularity of people having a big pot of beans once a week. Beans are Depression food. * Beans are cheap. Beans are not so popular. Cancer is (supposedly) on the rise. Maybe it's not the farts. Maybe it's the gratitude for just having beans. P.S. : "Depression food" meaning even poor people in the 1930's could get beans. Doesn't mean beans cure, nor cause, nor help prevent, emotional or biochemical depression. What about if they're gluten farts? Gluten farts are the saddest thing to happen to mankind since lactose-intolerance farts. Perfection in our culture requires that one be thin and fart-free. Cancer is okay—not the person's fault. But if one farts, then they must be exorcised. An evil element is dancing in their bowels. They have sinned. Brie, my experience was that eating 'gluten free' produced a LOT more farts than now not eating gluten free. Gluten farts giggle as they go. Gluten free farts groaned. "please don't fart your glutenated farts in the same room as me, I'm gluten-intolerant." There was a period of time where I avoided certain foods and ate more of others to prevent bad body odor. Now I'm just happy to eat what I like and grateful for those products to wash up and rub in my armpits. Also I remember liking the smell of my breastfed infant's farts. Weird? TMI? They smelled less apealing after he started solids. Not weird. My first baby's first-week poo smelled like food to me. Smelled like something I should eat. For hundreds of years in our culture we have been told to do what older people tell us and to ignore our instincts—that RIGHT/godly behavior comes from doing what's in the Bible and doing what "seems right" or what your "base urges" suggest has to do with the devil. And that we are not animals. It turns out that mammals lick their babies' butts (if what I have read and heard is right) and clean up the nest when they're infants, and then their own bodies can create antibodies for whatever bacteria-or-whatever are in that poo. So mammals naturally feed their young (good catch on that)milk that is REALLY customized to the offspring's current state of need and being. But we do say "YUCK," and "TMI" and that's disgusting, when people express the feelings that are the instincts that we deny that people have. Yeah the poo smelled good too. Like-breathe-deep kind of good. I often wondered what the biological reason behind that was. Makes sense. My first was primarily formula fed and it Defintely didn't smell appealing. I remember when Ethan was around a year, a good friend of mine visited us for about a week. She told me Ethan's poo smelled good. She asked me why. I had no idea. I don't have a sense of smell, so I couldn't say if that was true or not true, or just how good it smelled, but I found it interesting. I told Doug the other night that I love him even more because now I know that when he farts, he's taking care of me. We laughed. He liked the article. He says the best part of living with someone who can't smell is he never has to worry about farting around me. This has not yet been tested on human subjects. Any volunteers? This information will change some "truths". Some quotes; it's a good read. While many people worry about emitting stinky body odor from sweaty armpits, a select few don't have to. As it turns out, a percentage of the population lack the gene that prevents stinky pits. According to researchers from the University of Bristol, that special gene is called ABCC11. "This key gene is basically the single determinant of whether you do produce underarm odor or not."